Team Wiking, a US-based travel and lifestyle blog about one family’s adventures, recently reviewed the Goodbyn Hero here >. To make our on-the-go adventures a little easier Goodbyn sent over some Hero lunch boxes and other goodies for the boys since we loved Aiden’s old one so much. 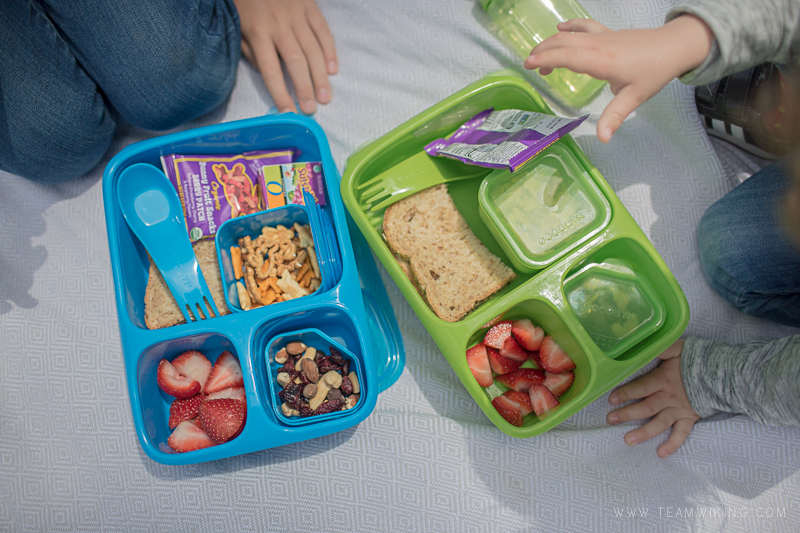 We headed to Spreckles Lake in Golden Gate Park for a picnic to test it all out. They are the perfect size for a decent lunch and a few snacks. I really love the little containers inside of them because Søren likes to carry his snacks around and they are perfect for sauces and yogurts. The drink bottles have been updated since our first Goodbyn and seal nice and tight. The spork is a nice touch too, even though Søren still preferred to use his hands. Aiden can’t wait to use his for school and they both have since added more stickers to their Goodbyns.